NEW PRICE & GREAT VALUE IN SANCTUARY AT RIVER CLUB..Welcome to this custom built home situated on a heavily wooded preserve lot in the Sanctuary section at River Club. Enjoy private retreats in the extended black framed screened lanai with heated pool & spa plus two large covered entertaining area completed with outdoor bar. This is a one level open floor plan features a large great room with high volume ceilings, natural gar fireplace and wall of sliding glass doors to the pool area. The gourmet kitchen features newer appliances including natural gas cooktop, center island/prep area, white cabinetry with tile backsplash walls, breakfast bar and casual dinette with side door to the outdoor area. Retreat in the spacious master suite with sitting area, two walk-in closets, private bathroom with sunken garden tub, double vanities in granite and huge Roman style walk-in shower with floor to ceiling tiled walls. Other impressive features include: formal dining with close proximity to kitchen, den with glass French doors, three full bathrooms, large laundry facility, circular driveway, tile roof, freshly painted interior, new carpets (6/18) just installed, crown molding, plantation shutters, double front entry doors, extensive landscaping on all sides, granite in bathrooms, wooded park-like backyard and more. 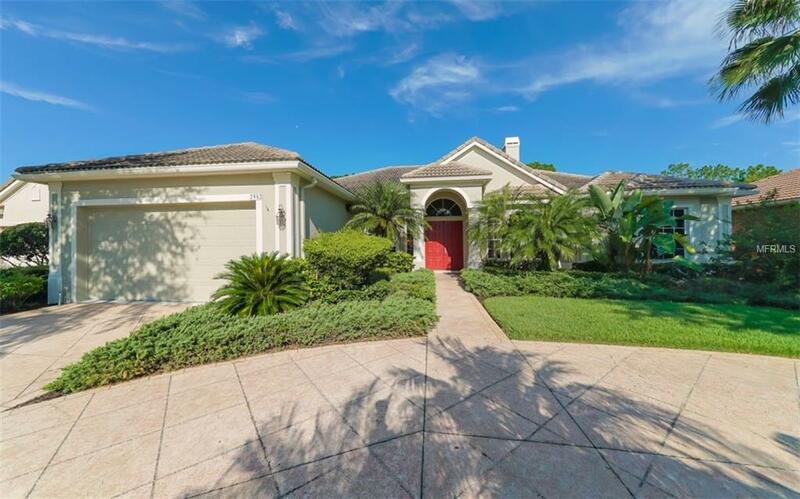 Enjoy River Club deed restricted golfing community with close proximity to Lakewood Ranch fine dining, shopping, hospitals, golf courses, along with low HOA fees, NO CDD's and top rated schools.